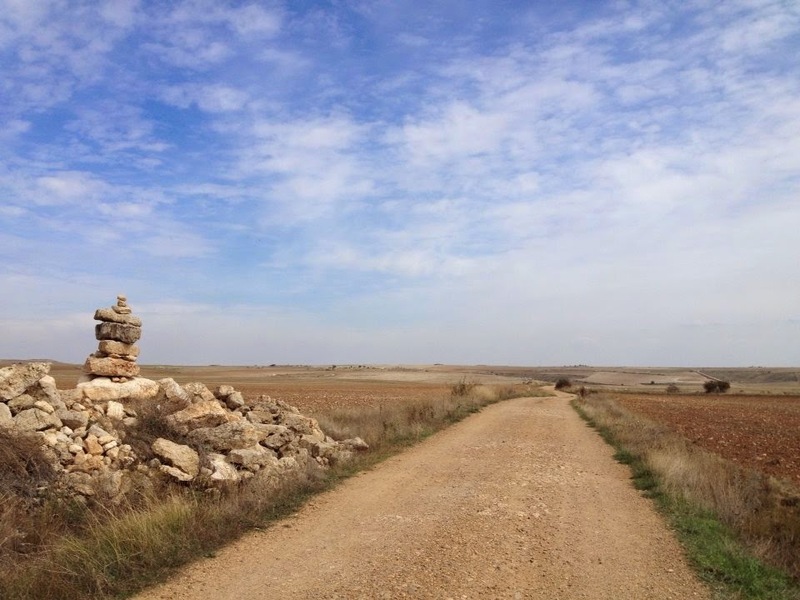 The first time I heard about the Camino de Santiago, I couldn't believe that there were people who wanted to walk a medieval pilgrimage route. After all, it's the twenty-first century, and buses, trains and flights cross Europe - why would anyone choose to walk through Spain? Moreover, who would choose to hike up and down rocky, muddy trails, staying in the cheapest possible lodging, in order to reach what may or may not be the tomb of St. James? A lot of people, apparently - and, as you've probably figured out, I'm among them. Before I started my own journey this past September, over 200,000 compostelas had been issued in 2014 alone. Compostelas are certificates confirming that a person has walked (or ridden a horse) at least the last 100 kilometers to Santiago de Compostela, the largest city in Galicia, Spain. Those who choose to make the trek are referred to as peregrinos - pilgrims. There are several routes throughout Europe, all eventually joining on the route to Santiago. This past fall, I walked nearly 800 kilometers through northwestern Spain, arriving at my destination of Santiago de Compostela on October 30. In medieval times, pilgrims started walking from their homes. As this would equate to a years-long journey for those of us who don't already live in continental Europe, many choose to start the trail in a place they can easily get to. I started my journey from St-Jean-Pied-de-Port, a town on the French side of the Pyrenees. Thanks to its identification as the starting point of the Camino Frances (the "French route" to Santiago), I arrived with three hundred others who received their credencials that day. 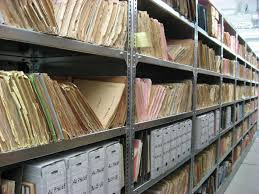 Credencials are documents identifying travellers as pilgrims, giving them access to simple hostels known as albergues which are reached on foot. In these albergues, as well as in churches, cafes and roadside kiosks along the way, pilgrims collect stamps, as in a passport. Once in Santiago, the credencials, stuffed with stamps, are presented at the pilgrim office, to prove that the holder is eligible for a compostela. In this way, the journey is much like that undertaken by pilgrims eight hundred years ago. Yet concessions to modernity have been made; pilgrims wear quick-dry zip-off cargo pants rather than ankle-length robes, and carry smartphones to keep in touch with loved ones or make reservations for the next day's lodging. I only met one pair of pilgrims who brought along a donkey; it's more common now to narrowly avoid collisions with mountain bikes and tractors rather than pack animals. 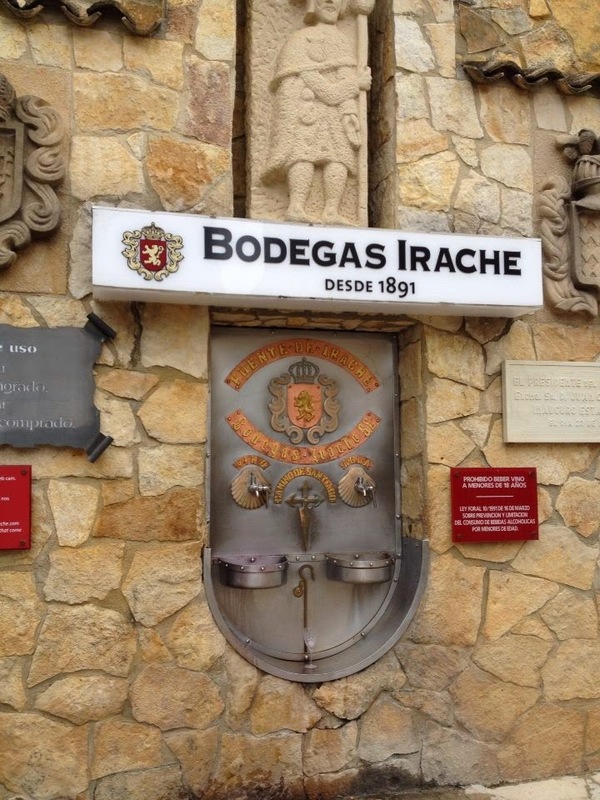 The fuente del vino outside Estella, Navarra, which dispenses (a limited amount of) free wine, is a favourite with pilgrims as well as a reminder of how important wine culture has been to the pilgrimage for centuries. While I have a better sense of what medieval pilgrims would have experienced while walking, it was hard for me to gauge what pilgrims would have eaten on the trail in medieval times. The Codex Calixtinus, a 12th century illuminated manuscript, gives much of the information we know about the medieval pilgrimage, as it served as a guidebook for pilgrims who could read. 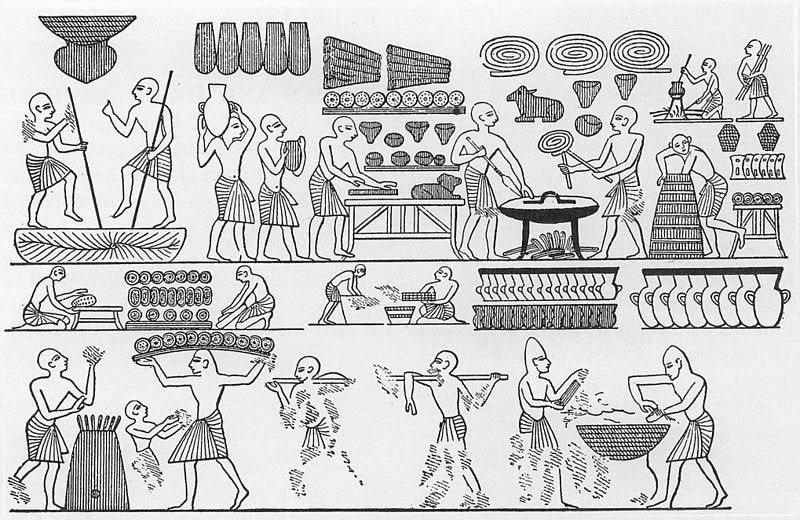 The Codex Calixtinus talks about the food shortages on various parts of the route, but doesn't go into detail about the meals or dishes pilgrims could expect to eat. Much of what is available for pilgrims today is based on "New World" staples. The cafe con leche I drank to start each day on the trail would not have been available prior to Spain's overseas exploration, along with tortilla de patatas, a potato-filled frittata. There would have been no elderly men roasting peppers in barns along the route, no chocolate bars for an afternoon sugar boost, no tomatoes for an evening spaghetti Bolognese. 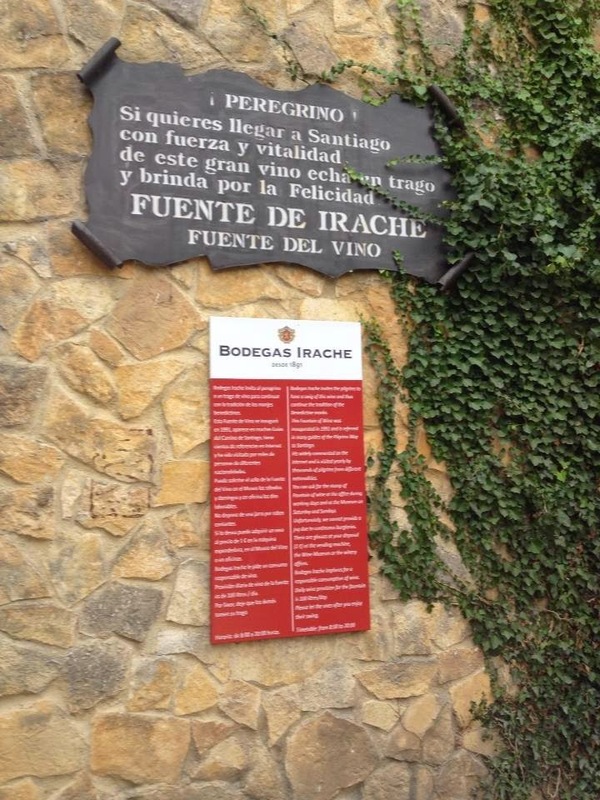 Pilgrims today often eat meals in bars along the way, taking advantage of ten-euro, three-course menus de peregrino with a choice of "vino o agua" - wine OR water. Medieval pilgrims, however, would have depended on what the hospitales along the way served for supper. Soup would have been an easy way to feed a number of people using what was around. With this in mind, I set about researching some of the soups I enjoyed along the way, from caldo gallego to patatas a la Riojana. Caldo gallego, or "Galician broth", made with a ham hock, incorporates the green collard-like plants which grow on the small farms in the Galician hills, as well as white beans and potatoes. While the caldo gallego I ate in Galicia was delicious, the Codex Calixtinus warned pilgrims, "All fish, beef and pork in Spain and Galicia make foreigners ill". 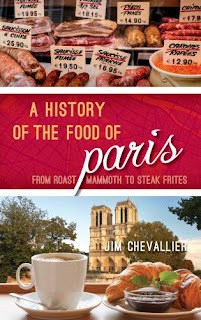 Besides, the potatoes which feature in the soup made it modern, not medieval, from a European standpoint. Patatas a la Riojana presented the same problem - with potatoes, peppers and chorizo which is bright red from paprika, it's not a dish that would have been available to medieval pilgrims. 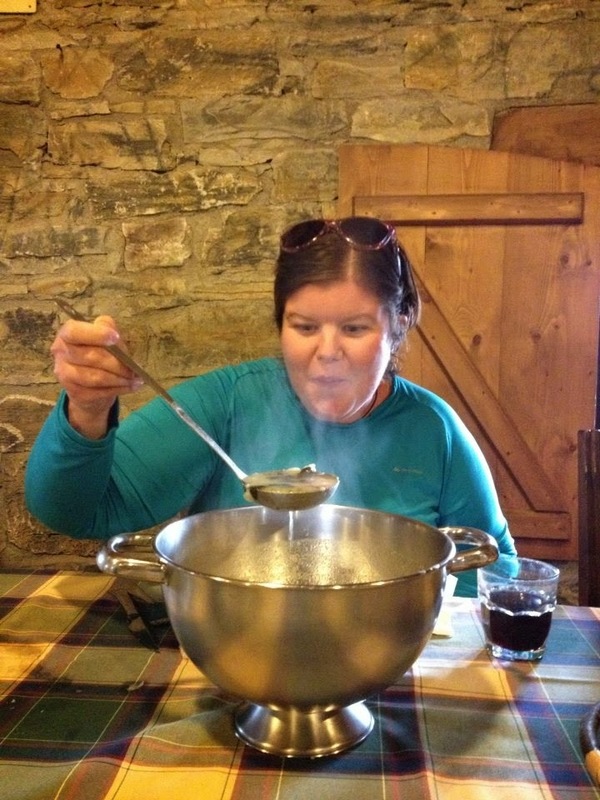 Enjoying caldo gallego in Fonfria, Galicia - maybe a little too much? As I leafed through my travel journal, I realized there was another soup that I'd enjoyed as a part of pilgrim menus: sopa de ajo, a strong, garlicky broth I remembered as bolstered with something white and fluffy - perhaps eggs and bread? I found several versions online, and settled on a recipe by Marian Bull from Food52 as the closest to what I'd experienced. Yes, in a bistro you might have a fancy-pants version with a poached egg and an artistic swirl of herb-infused oil, but in essence this is a dish to feed several people cheaply. Bread was, then as now, a staple for residents of the Iberian peninsula, and it would have been easy to find stale bread to be used up in something such as this soup. 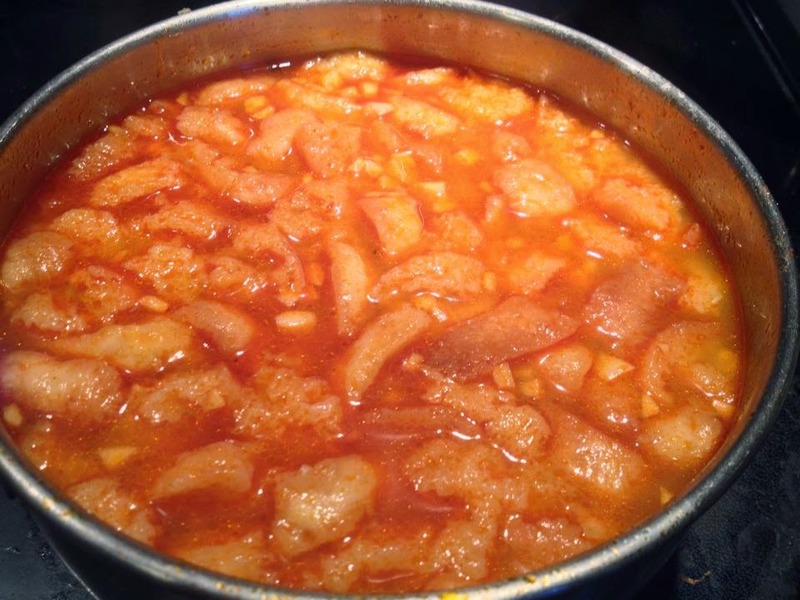 As I realized after making it, there is one "New World" ingredient in this sopa de ajo: the smoked paprika or pimentón, which, as the name suggests, is made from dried ground peppers. If you're eager to experience this soup as a medieval person would, you can leave it out, but I find it adds an irresistible colour and flavour to this simple soup.The rest of the ingredients are as easy to source in today's Spain as they were a thousand years ago. This soup is also called sopa castellana, after Castilla (today, Castilla y Leon), the north-central region of Spain which pilgrims on the Camino Frances pass through. Here's how I made my soup, adapted from the Food52 recipe linked above: the recipe is for four generous bowls, but you can scale it up if you're feeding a crowd. Cook the garlic in the olive oil over medium-low heat until fragrant and soft, but not brown. Browning the garlic will give the soup an acrid taste which can't be covered up, so if you do brown it, start again! Add the bread and the paprika, and cook until the bread has absorbed all the oil and yields to the spatula. You can add more oil, or a little water, if the bread remains hard. Again, the point is not to brown the bread in the oil, but to soften it. Add the boiling salted water to the bread-garlic mixture, and simmer for at least 20 minutes, or until ready to serve. Just before serving, add the beaten eggs to the pot, stirring them in a circular motion. Serve the soup immediately, with more bread and a glass of red wine or water, as they do in Spain! 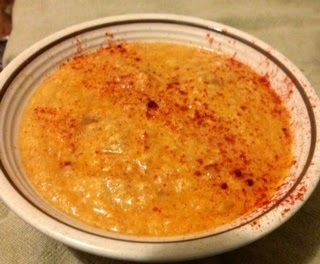 I really don't know how the soup would taste without the paprika, but if you try it, let me know! Excuse me for using an automatic translator. Right now posted on my Facebook page this his post on the Caldo Gallego. Already, congratulate her by text. I also have a blog where I publish my research on medieval cuisine. I invite her to visit! The purpose of this blog is to present the recipes and discuss food in the kitchen and procedures that were available in the Middle Ages in order to recreate the most authentic medieval dishes. Participate Blog: signing up and commenting.